Learn Why LogRhythm and Singapore Leaders Are Working Together to Fight Cyber Crime Through Knowledge Sharing and Collaboration. It is well known that every year cybercrime increases along with new technologies. In Singapore, this fact is even more stark since Singapore is an international trading and banking hub, making it a “prime target” for attacks. After LogRhythm and Singapore IT leaders met to discuss cybersecurity issues in Singapore, it was agreed that collaboration and knowledge sharing from the ground up is one of the best strategies against cybercrime. 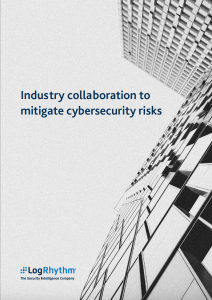 This white paper reviews their perspectives and analyzes the issues Singapore faces while addressing best practices against these growing threats. Download the white paper to learn more about best practices against cybercrime.